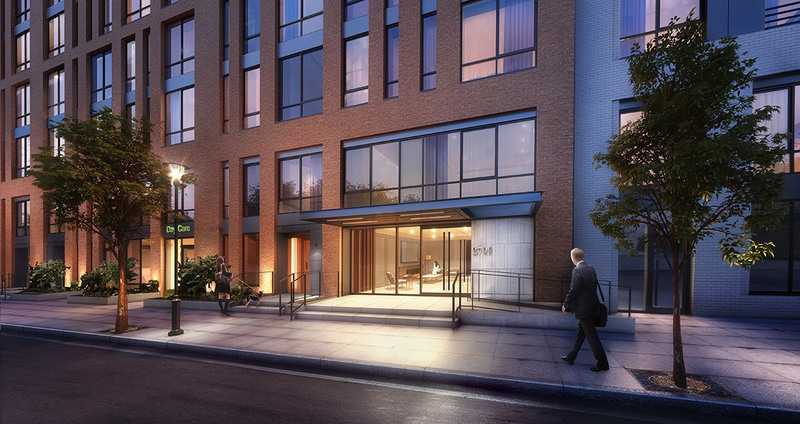 Today YIMBY has the reveal for exclusive new renderings of Hamilton House Phase Two, designed by Fogarty Finger Architecture. 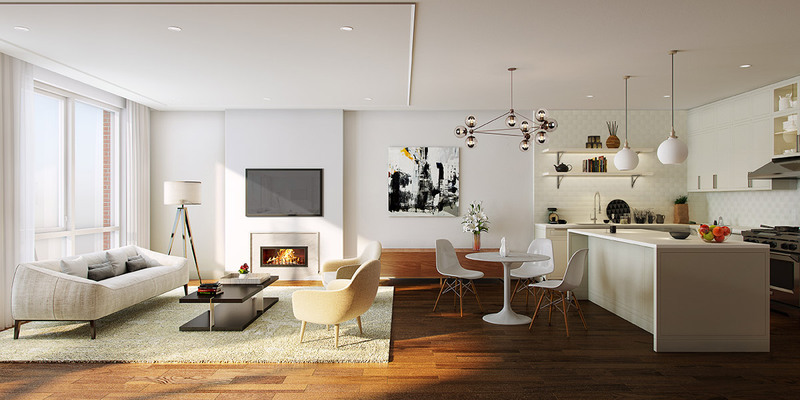 Located in Jersey City, The Shuster Group development will add to the neighborhood’s amenity-rich residential stock overlooking the Lower Manhattan skyline. The seven-story building includes single, double, and three-bedroom rentals. Each home will have nine-foot ceilings, white oak hardwood floors, oversized windows, in-unit washer/dryers, and walk-in closets. Select residences also include private balconies or patios. 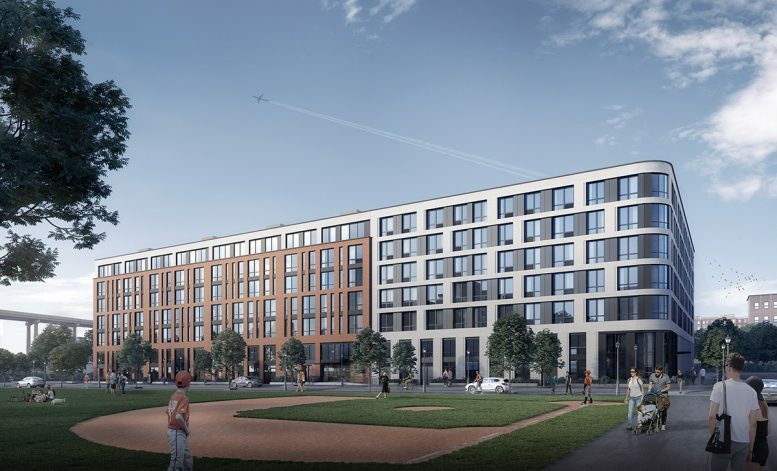 Building amenities include a state-of-the-art fitness center a yoga room, a business center, a communal lounge, a children’s playroom, bike storage, on-site parking, and complimentary shuttle service to the PATH train. Residents will also have access to a landscaped roof terrace with lounge seating and grilling stations. 1 Comment on "Hamilton House Phase Two Takes Shape in Jersey City"